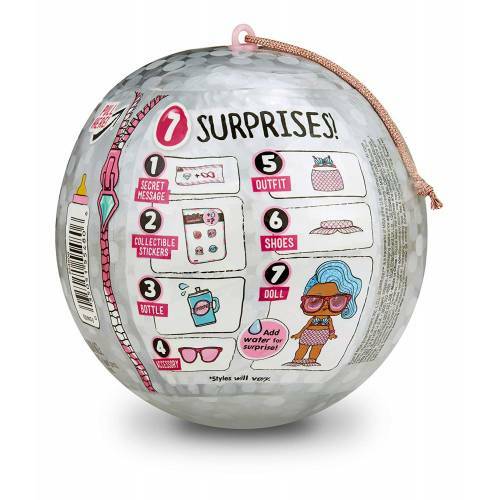 Unbox 7 sparkly surprises with L.O.L. Surprise! 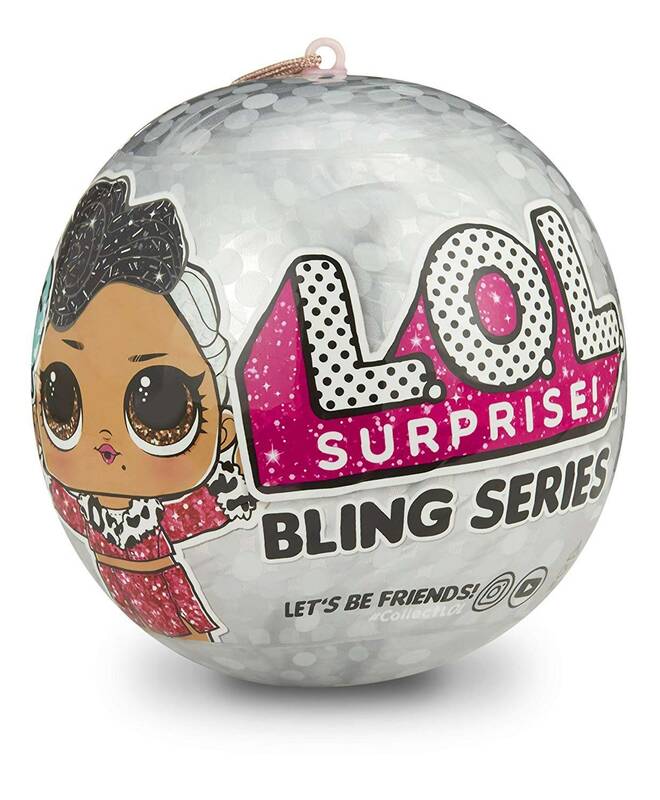 Bling series. 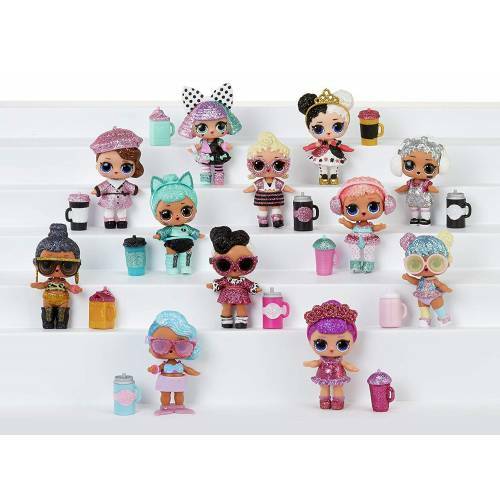 Twelve fan favourite characters got a bling-out make over, and you can find them with sparkly glitter finishes and glitter hairstyles. L.O.L. Surprise! 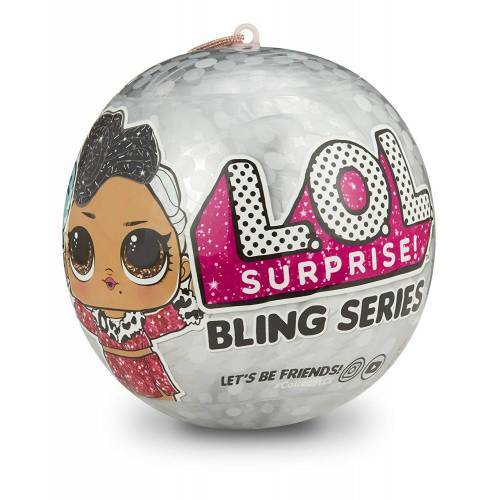 Bling series come packaged in a ornament ball with a clear front to display dolls. Look for splash Queen, pranksta and other five characters in all-new outfits. 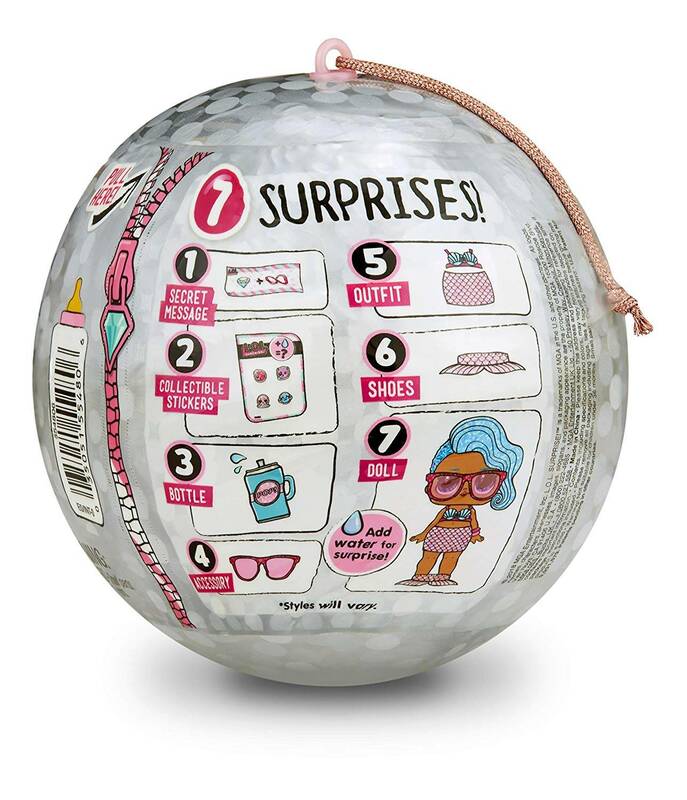 Feed or bathe doll to discover water surprises. One character included. 12 characters to collect. Styles may vary.